From active cruising to riding the new sky-high ski-lift in Zermatt, here’s a list of where you should be taking your holidays this year. The general assumption is that a cruise involves a lot of sitting about on deck with the occasional day exploring a fascinating port of call, but not much in the way of exercise. This will change in the summer with the arrival of Blue World Voyages — a start-up marketing itself as “the world’s first cruise line dedicated to sports and wellness”. This will equate to a series of on-board gyms, spinning studios, yoga spaces and a swimming pool that is created by lowering a floating frame on to the sea. Voyages are likely to visit Cuba, Costa Rica and the Mediterranean. The European Commission’s intimation that, following Brexit, Britons will not need a visa to visit the EU for stays of up to 90 days but will need to enrol in the new scheme Etias (European Travel Information and Authorisation System) has brought a modicum of clarity to the question of how people will travel on the continent after March 2019. But those booking their summer vacations may face the misery of delays and cancellations at the airports. The rise of river cruising shows no sign of abating. 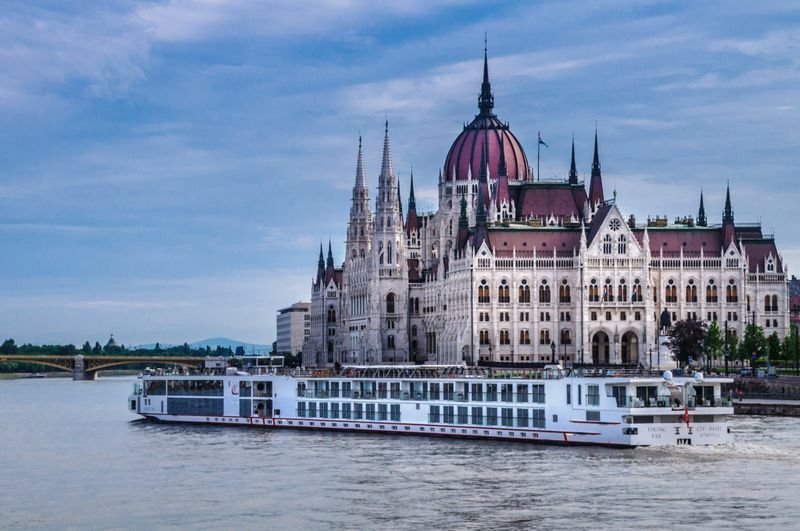 The main players in this surge are Europe’s two key rivers for travel, the Rhine and the Danube — meandering giants whose mixtures of splendid scenery and historic cities makes for grand journeys. Options are myriad; follow an eight-day Best of the Rhine itinerary, which sails the river south-east between Cologne and Basel, pausing in Strasbourg en route. Sir David Attenborough’s decision to voice a show for Netflix marks another shift in our viewing habits — away from conventional television and towards streaming services. ‘Our Planet’ will run in eight parts, available from April 5, and will feature footage of 50 countries, filmed over four years. 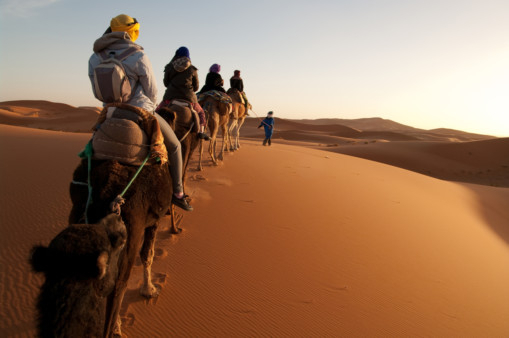 It’s a fair bet the Sahara will feature, so if you want to trace hallowed footsteps, you could try a Southern Morocco odyssey for a 10-day birdwatching group trip that searches for the feathered inhabitants of the globe’s largest desert. While it is difficult to make concrete predictions about the chess game that is Brexit, the strength of sterling has been rather easier to ascertain. So it would make sense to book a sunshine holiday beyond the eurozone. Almost four years after the terror attacks that so hurt its image, Tunisia is in focus again. Turkey could be another port in the travel storm. The era of people packing away their passports at the first cry of a newborn is over. While Orlando, Florida was, perhaps unsurprisingly, named as the most popular destination for families last year, the top five also featured Las Vegas. Those who want to take their offspring across continents, but to somewhere more inspirational than a Nevada casino, could consider the Family Inca Trail Adventure offered by Explore which takes in the Peruvian Amazon as well as Machu Picchu. While it always seems a little odd to recall someone’s death with gusto, there is no doubt that the 500th anniversary of Leonardo da Vinci’s last breath (May 2, 1519) will be a spark for travels in 2019. Make a pilgrimage to Milan for an audience with The Last Supper at the Basilica di Santa Maria delle Grazie. We have all been in that do-I-don’t-I? situation — caught in a moment of minor consumer panic as the screen tells us that there is but one more room available at this unbeatable (and never-to-be-repeated) price. To book or not to book? That is the question. Last June, the Competition and Markets Authority (CMA) cracked down on hotel booking websites, and the practice of “pressure selling”. Whatever emerges from the Brexit labyrinth come March, one beneficiary of leaving the EU in 2019 is sure to be the British travel industry — as many holidaymakers seek refuge from the uncertainty by setting up breaks on home soil. A raft of new tours for suggests there will be demand for holidays in the UK. If you have to pick one, take the Peter Sommer Travels Exploring Wales: Millennia Under The Gaze Of Mountains, a seven-day guided group trip, which will dissect the history of south and west Wales via Roman sites in Gwent and Tudor castles in Pembrokeshire. Or Cersei Lannister. Or Arya Stark. Or Jon Snow. Take your pick. ‘Game of Thrones’ is set to return for its eighth and final series in April, and travel adventures in its armoured bootsteps are sure to follow. Where? 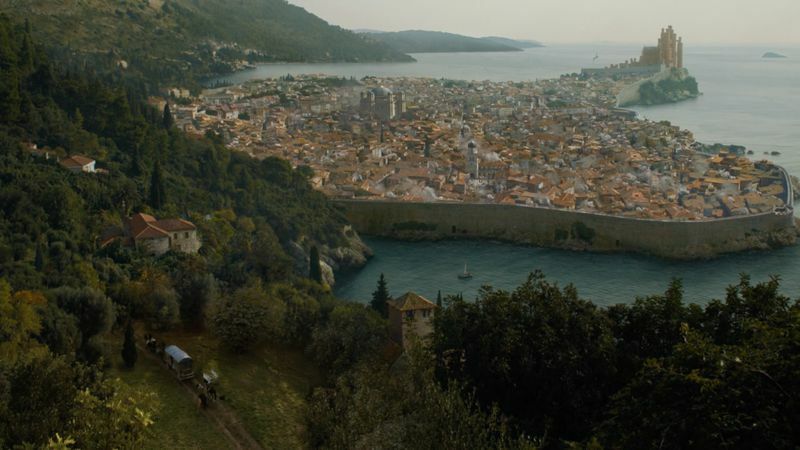 Croatia remains fertile ground, Dubrovnik as the Westeros capital King’s Landing. 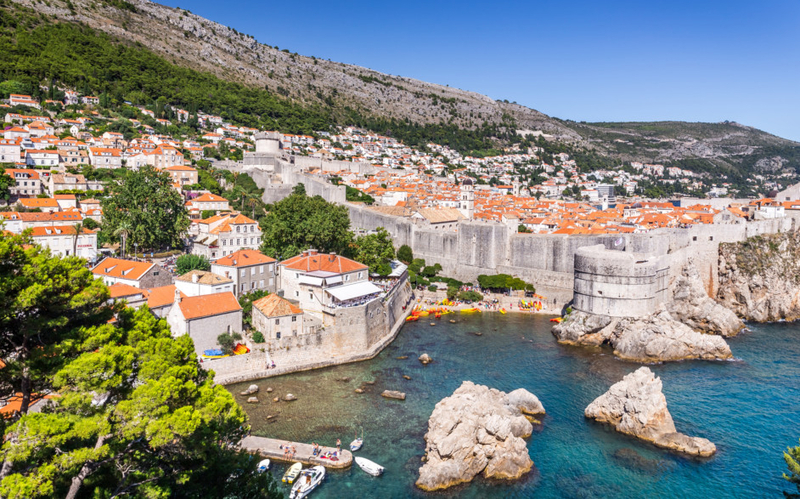 Same itinerary includes a 15-day highlights of Croatia fly-drive break that spends four nights in the city and also visits Sibenik, that has served as Braavos. House Stark crops up again in Northern Ireland, where Castle Ward in Co Down is now better known as the family’s ancestral home Winterfell. A 10-day Shamrocks and Leprechauns group tour that charts both Irelands, and visits Castle Down for an archery session at the range on the film set. Guests can also dress up in costumes from the show. The country’s resurgence is down to the quality of its safaris — and there is no reason why this upward arc shouldn’t continue in 2019. A nine-day Greater Kudu Fly-In Safari allows you to spend four nights amid the big cats and elephant herds of the Maasai Mara. Botswana’s ranking high on a list of African safaris is due in part to the majesty of the Okavango Delta. This can be seen with Natural World Safaris, which takes a careful approach to the country in its 11-day Botswana Silent Safari — gliding into the wetlands by boat, and exploring the bush on foot at the Shinde Concession. Skiing is rarely seen as a cheap pursuit, but younger travellers will be able to save money this season — without compromising on style — via the boutique hostels that have been popping up across the French Alps. Ho36 is leading the way, having opened a low-cost ski-in-ski-out retreat in traditionally pricey Les Menuires — beds from €22 (Dh91) a night. A sister hostel exists in La Plagne from €21 a night. The pattern continues in Oz en Oisans, where the Moontain Hostel has a restaurant and bar as well as beds from €23 a night. Few things boost the profile of a historical figure like a major cinematic biopic, and the release of ‘Mary Queen of Scots’ on January 17 in the UAE with Saoirse Ronan in the title role, and Margot Robbie as her cousin-nemesis Elizabeth I — is likely to revive interest in the 16th century’s most interesting (yet conflicted) monarch. Her story is easily traced at Linlithgow Palace, near Edinburgh, where she was born on Dec 8 1542 — and at Stirling Castle, where she was crowned barely a year later, on September 9 1543 — her father James V having died when she was six days old. Both sites make clear her relevance to the politics of the time. Every year witnesses a burst of new flights, and 2019 will be no different. The trend for “ultra-long-haul” will continue with Singapore Airlines — fresh from restoring the world’s longest flight, its 9,534-mile (15,343km) marathon from Singapore to Newark (New York), to the map in October — launching an almost-as-far hop to Seattle (8,070 miles/12,987km) on Sept 3. A word that barely existed a year ago has become a key part of the travel lexicon — “thanks” largely to a 2018 that saw celebrated places stretched to the seams by the weight of their own popularity. Venice was an ocean of queues and people-jams on Easter Sunday, when it received 125,000 visitors — as many as Bangladesh receives in a whole year. And a tour bus was briefly hijacked by demonstrators in Barcelona in July — just another protest in a continued outpouring of concern about tourist numbers in the Catalan capital. The issue will only grow in significance in 2019. The idea that anywhere as vast and remote as the frozen continent could be managed by a stroke of the pen may seem a curious one. 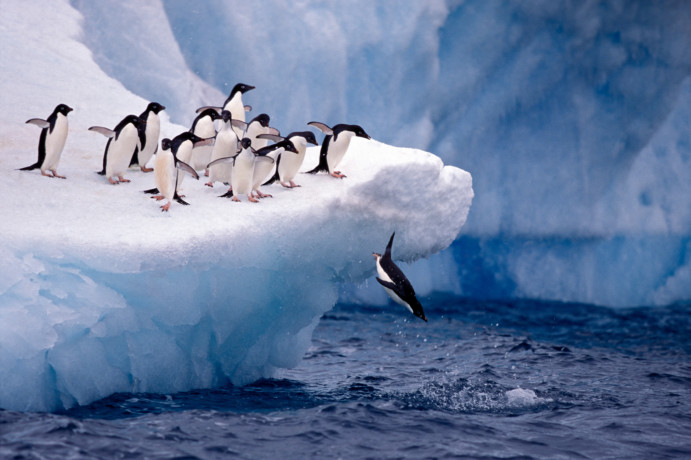 But next December nonetheless marks the 60th anniversary of the Antarctic Treaty — the international agreement, signed by 53 countries, which protects the last landmass as a scientific preserve where military activity is banned. World Expeditions makes a point of this, taking guests ashore only in small numbers, in the company of qualified naturalists. It has a 10-day Antarctic Discovery cruise, scheduled for March 22, which will focus particularly on whale migrations as it sails towards the Antarctic Peninsula. Although she died almost 118 years ago, the woman who occupied the British throne for nearly two thirds of the 19th century rarely falls too far from public perception. The third series of ITV’s dramatisation of Queen Victoria’s life (with Jenna Coleman wearing the crown) — an apposite moment, as the new year is also the ex-monarch’s bicentennial (she was born at Kensington Palace, on May 24, 1819). Her birthplace will host an exhibition (from May 24) that will let visitors explore the rooms that framed the Princess’s strictly governed childhood. The decision by the Central American country Belize to phase out all single-use plastic products by Earth Day on April 22, 2019 should be a marker for travels where we consider our impact on the world around us. You can do your bit by travelling with Responsible Travel, an online agency that pools forward-thinking breaks from more than 400 operators, describing its mission as to provide “authentic travel experiences that cause the least damage to people and places”. One example is its Belize Sea Kayaking Holiday — a seven-day group tour where you chart the country’s coast using your own paddle power rather than a car. Here is another growing market, as tour operators wake up to the fact that there are single parents and their holiday needs are as important as anyone else’s. Single With Kids deals in “holidays for single parents in group settings”, with lone mums or dads and their broods relaxing together. 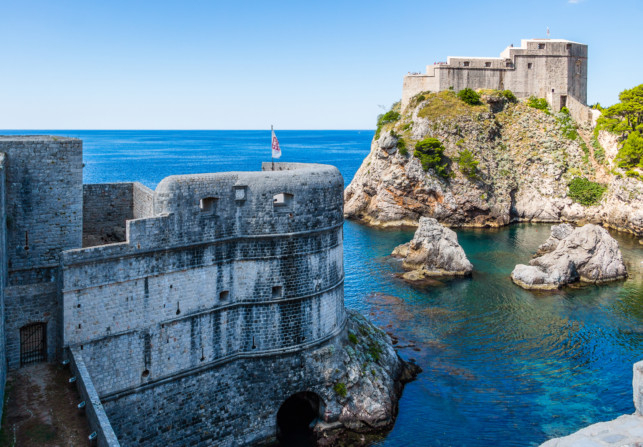 A seven-night all-inclusive getaway to a resort on the Dubrovnik Riviera is something to consider. The American rail network is often seen as a slow-moving relic — but in 2019, this will be a good thing. May 10 marks the 150th anniversary of the completion of the Great Transcontinental Railroad — the first train line that connected the east and west coasts of the US (the final track being laid at Promontory Summit, Utah). 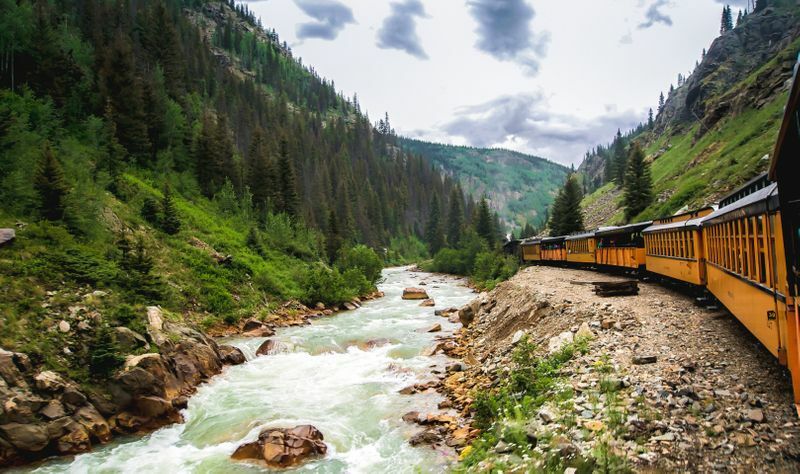 You can roll west yourself on the exact day via the April 27 departure of the Trans-American Rail Tour 2019 offered by Great Rail Journeys — a 19-day trip between New York and San Francisco via the likes of Chicago, Denver and Las Vegas. One answer to overtourism is to choose destinations that are (relatively) undersubscribed. This may mean thinking laterally, and trying places that offer the same enticements as the old favourites, but less of the headcount. For Barcelona read Valencia, which revels in nightlife and restaurants in Ruzafa and, in Playa de la Malvarrosa, has a beach where you can find space. Better still, the world is full of unexplored corners. You can find them in Europe. Take an eight-day Georgia food and drinks tour that charts this fascinating yet little-seen country. It’s nice to put a face to a name. This old conversational gambit will have a more modern application in 2019, as facial recognition technology becomes more prevalent at airports. Last May, easyJet began trialling a “self-boarding” procedure on selected flights from Gatwick. It involves passengers’ photographs being taken as they scan their passports and boarding passes at check-in, and their identities being verified remotely at the gate. What once needed several staff members is now — security aside — free of all human interaction. The coming year will feel timely for those who like to place one foot in front of the other. September will mark the 100th birthday of the Forestry Commission in the UK, whose work has forged the likes of Argyll Forest Park — the 82 square mile treescape on the Cowal Peninsula in the Highlands, which stands as a haven for quiet strolls. December will mark the 70th anniversary of the National Parks and Access to the Countryside Act, which prepared the ground for the likes of Snowdonia National Park. Good enough reason to escape to one, or both? Most certainly. If recent times have felt defined by mistrust of outsiders, and you are fed up with that, there is an antidote. For what is the opposite of xenophobia? If we stroll the marbled hall of the Greek language, we find “xenophilia” — “an affection for unknown or foreign people”, and a single-word manifestation, if you will, of the thought that travel broadens the mind. How to convert this idea into actual travel? Craft trips that bring visitors closer to their hosts. These include a 14-day India Cultural Immersion Tour — which, as well as showing off the sights of Delhi, Agra and Jaipur, lets participants volunteer at a school and work on a water conservation initiative at Chandelao, a village close to Jodhpur. Do you need friends, family, lovers or partners in tow to enjoy a holiday? Increasingly, research says not. This trend should continue in 2019, as specialist operators tap into this growing market. Travel One has added Puntarenas on the Pacific edge of Costa Rica to its brochure: nine-night, half-board holidays for single travellers at the four-star Hotel Punta Leona. The general principle of skiing is that you go downwards. But up is also important — and Alpine resorts are proving as much this winter with the unveiling of new state-of-the-art lifts. 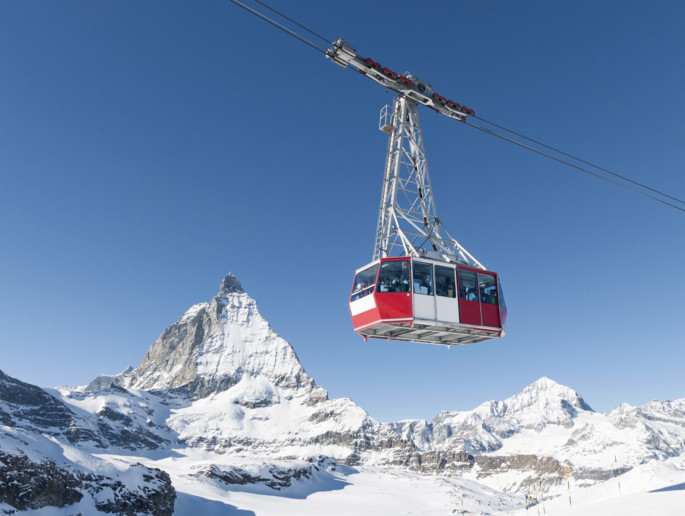 Swiss playground Zermatt has just inaugurated the world’s highest tri-cable lift system — the Matterhorn Glacier Ride, which will whisk skiers from piste to piste with added speed, connecting the Trockener Steg and Klein Matterhorn peaks. Not to be outdone, Zermatt’s compatriot Andermatt is playing a similar card, inaugurating the pacy Oberalppass-Schneehuenerstock gondola to neighbouring Sedrun.